The Last Leaf Gardener: MONDAY'S MEMO: BRING THE SHOVEL INSIDE! 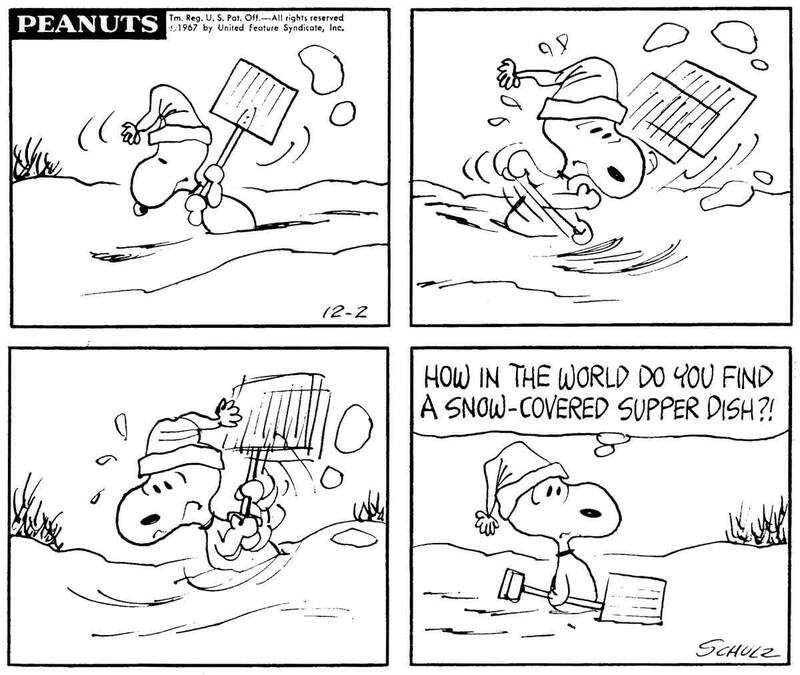 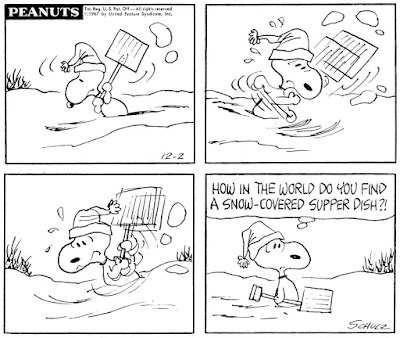 In answer to the question your posing in the comic strip (atop this entry), Snoopy, it helps that you have a shovel! 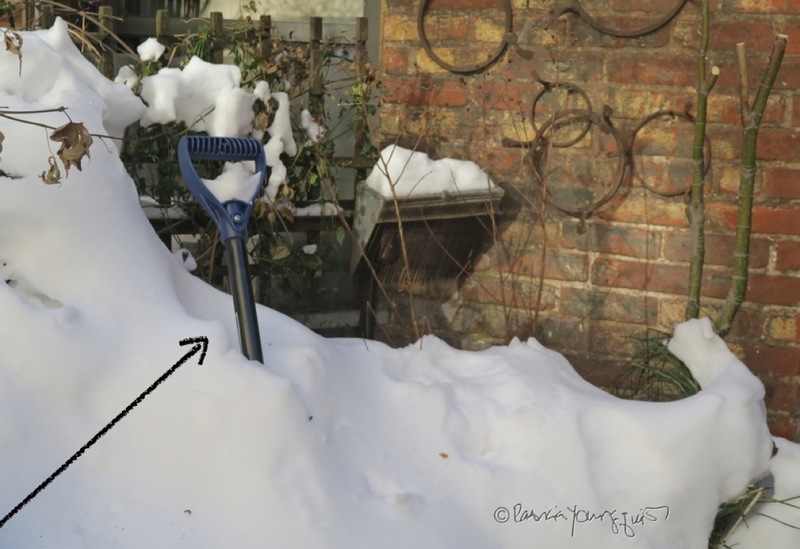 I forgot to bring mine in the night before the snow (from the winter storm known as a "bomb cyclone") fell on to the surface of my rooftop garden. 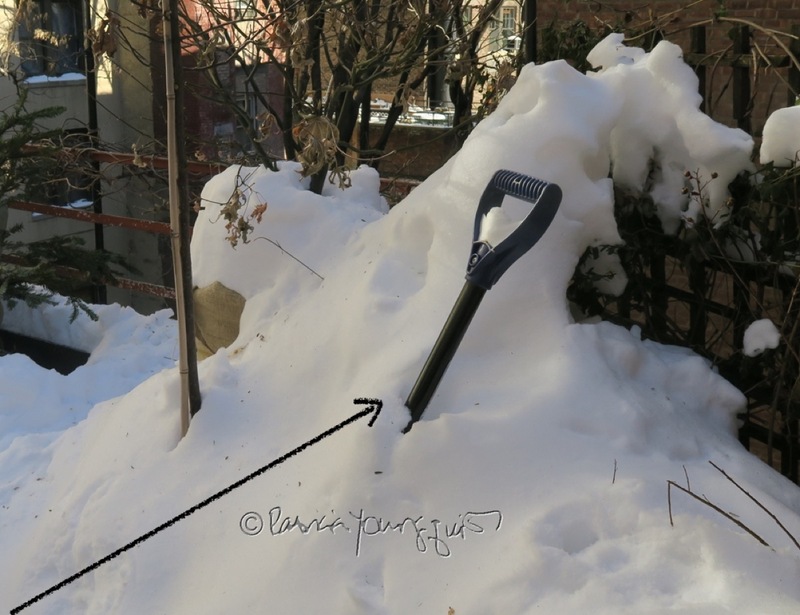 My shovel was almost completely buried in snow, as evidenced in the photos directly below. I'll be making a memo to bring it inside the next time a snowstorm is predicted. 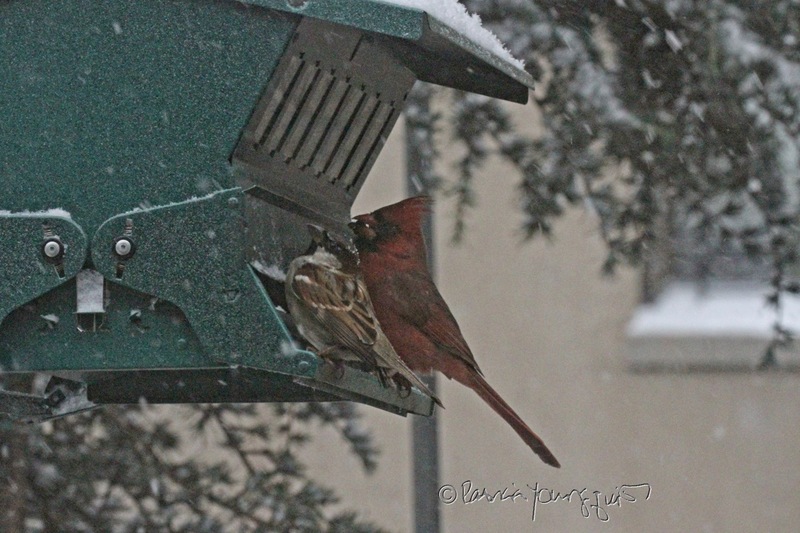 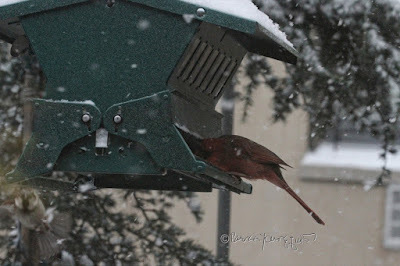 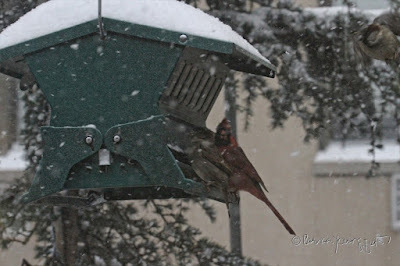 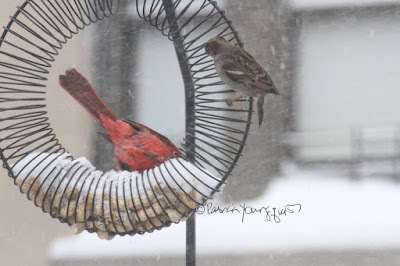 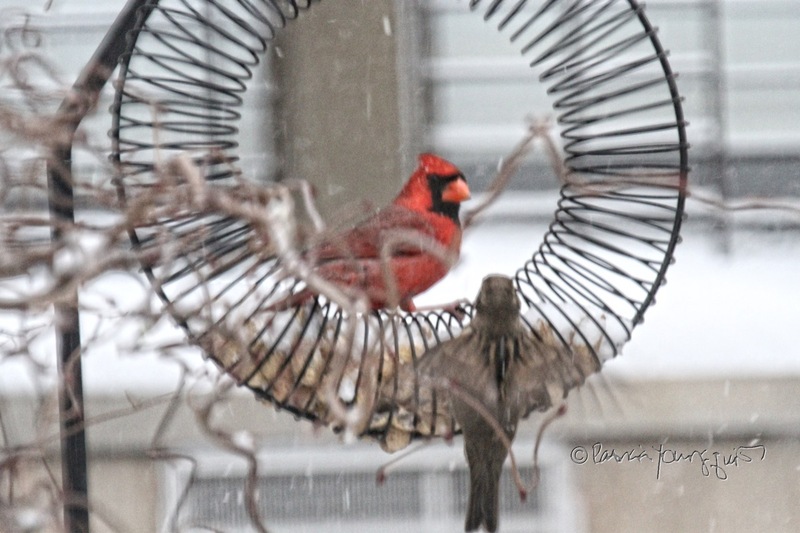 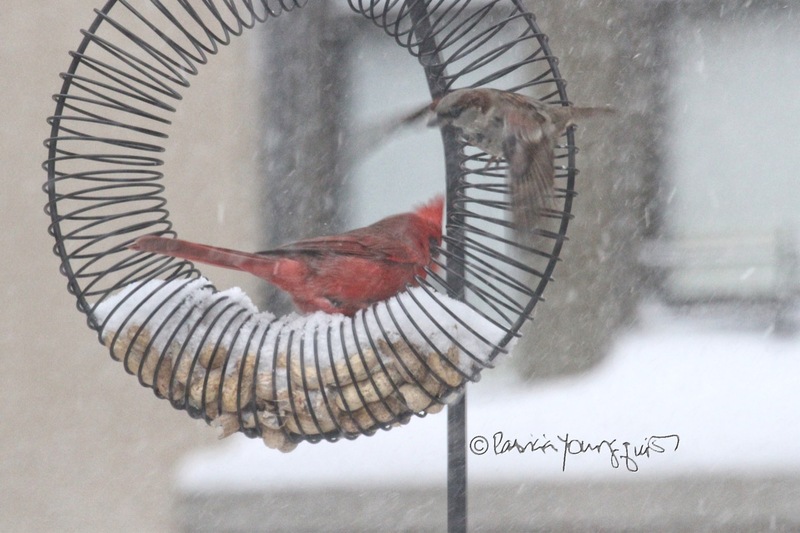 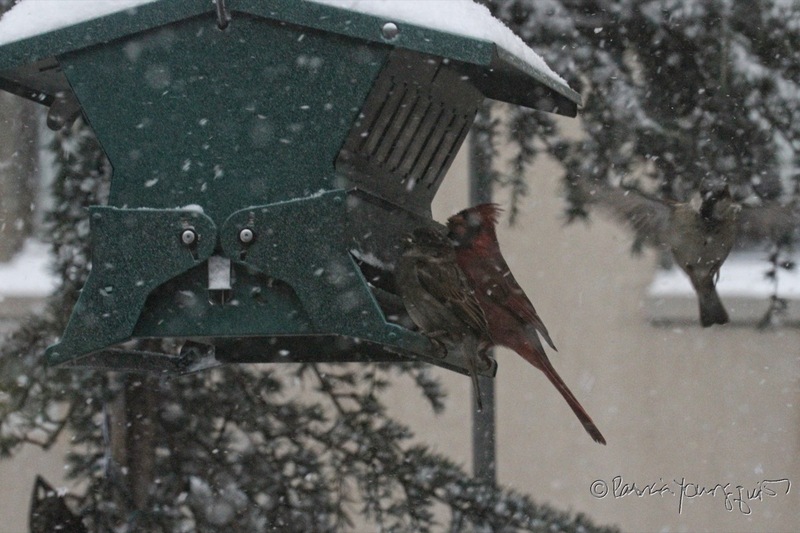 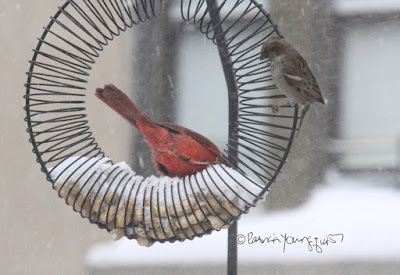 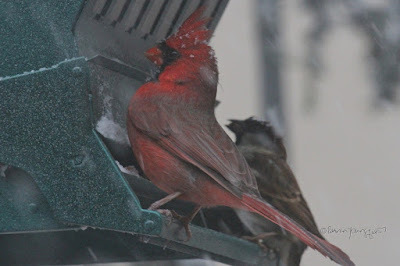 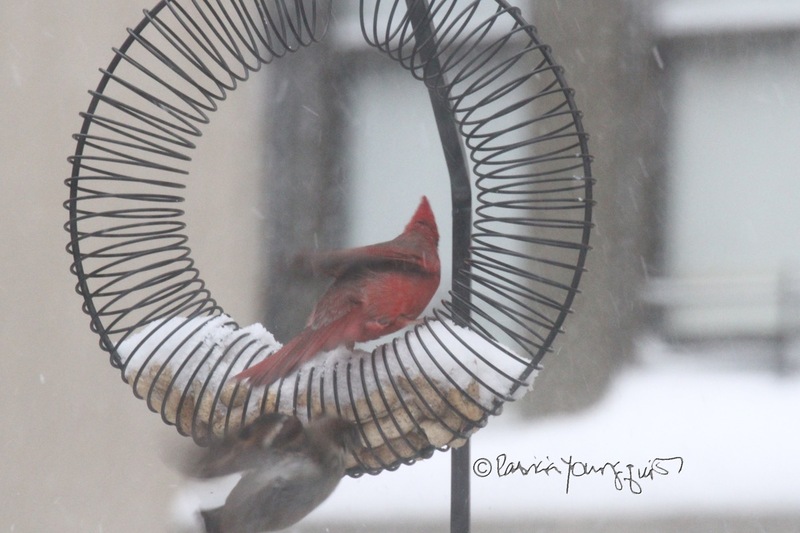 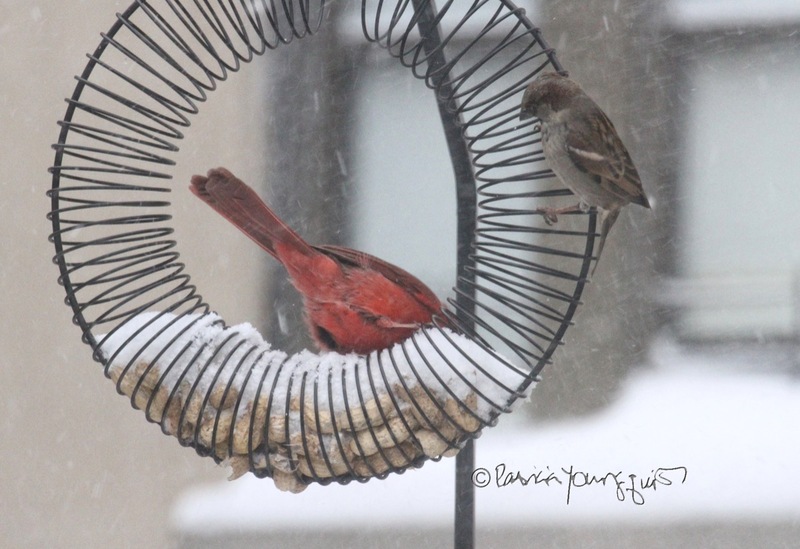 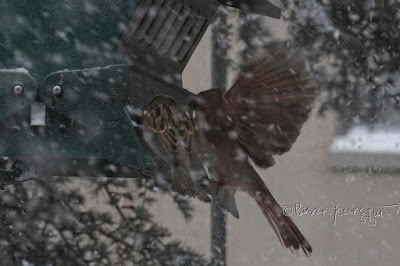 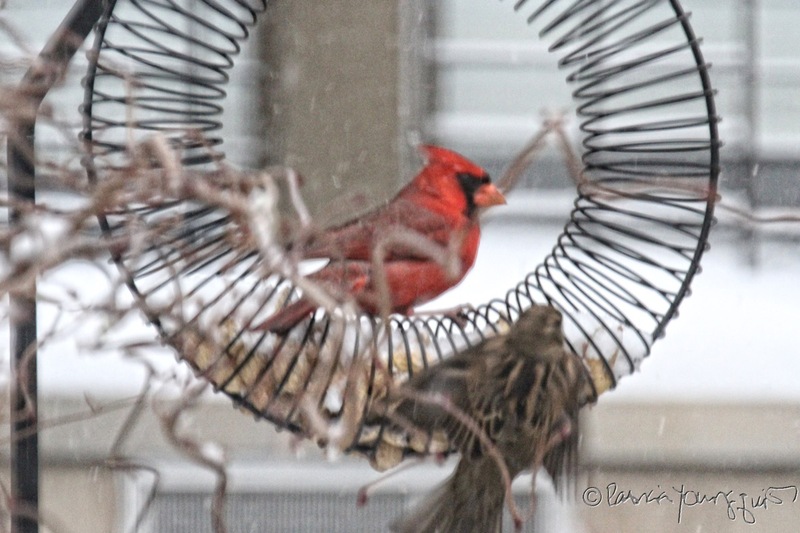 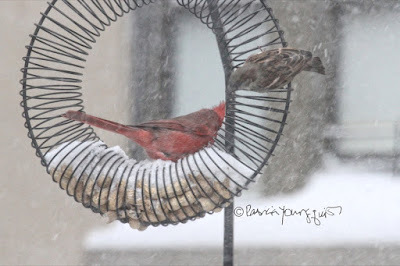 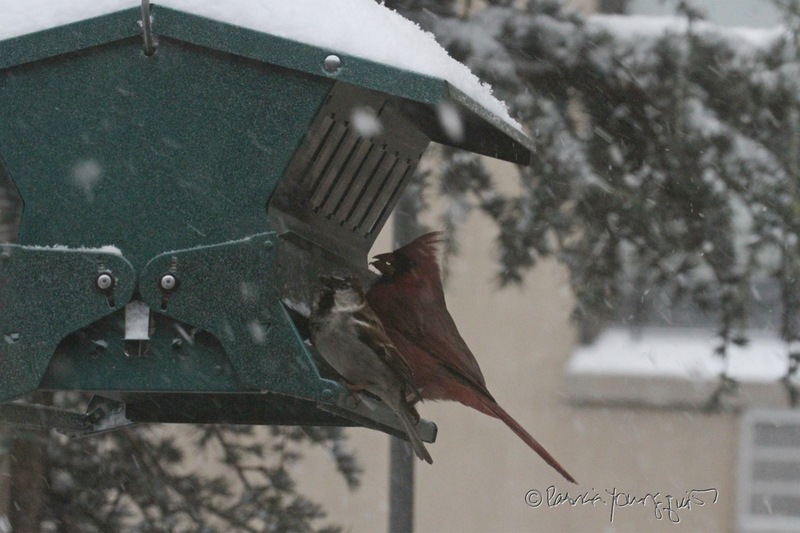 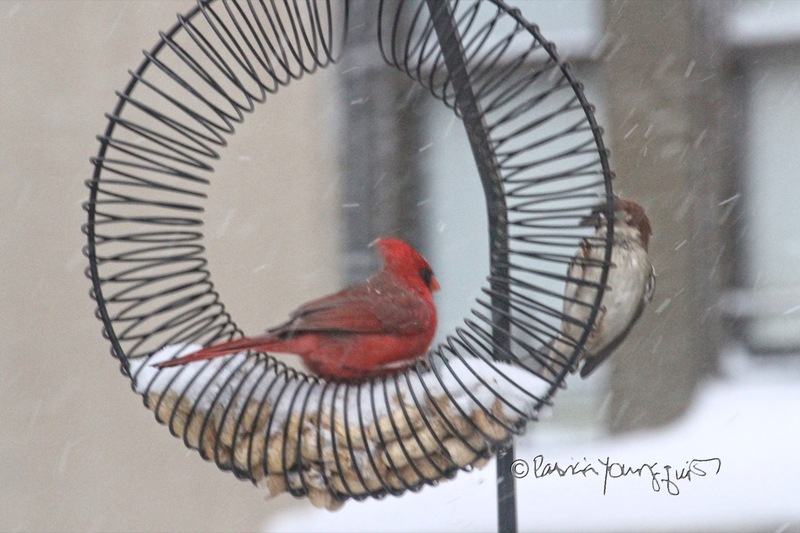 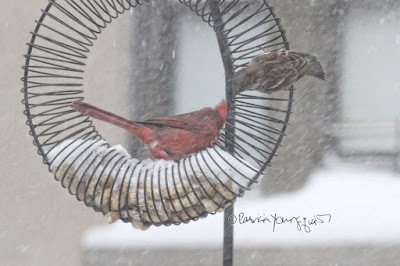 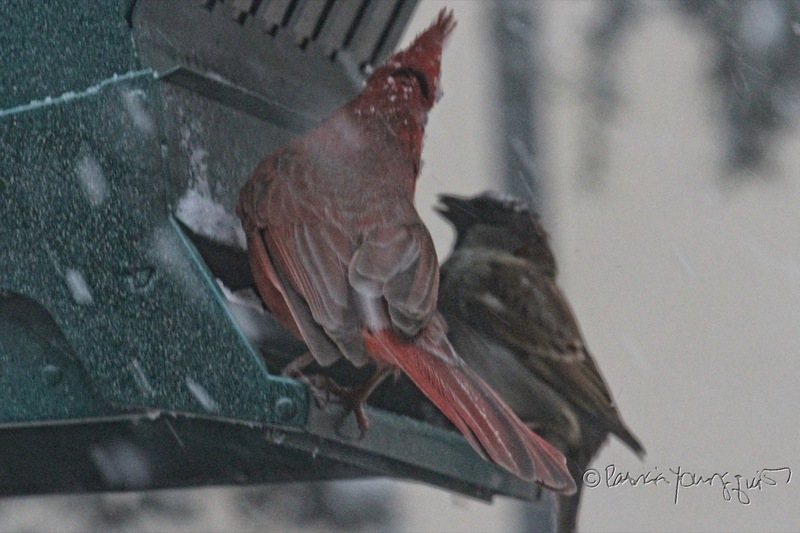 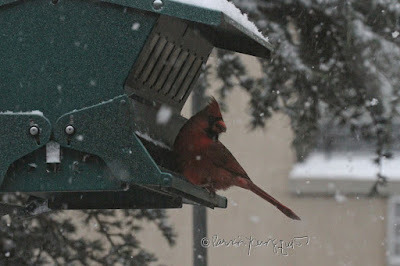 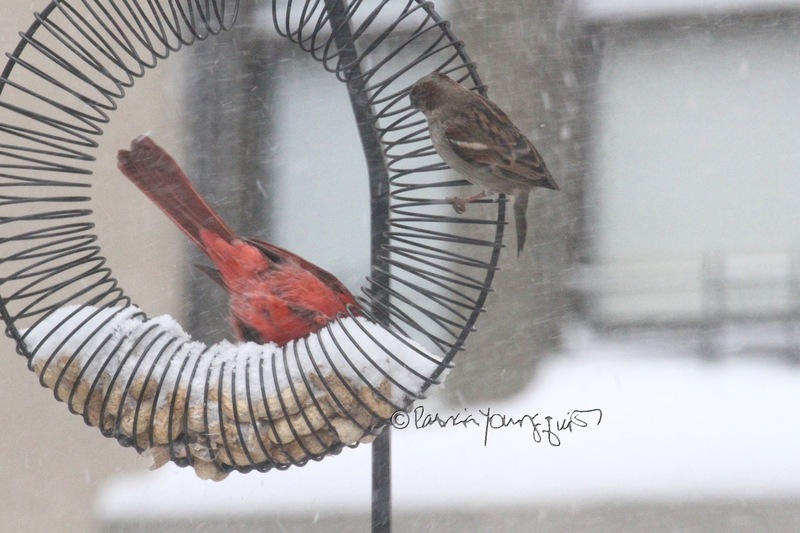 But at least two of my bird feeders (the "Wreath Feeder" and the "House Feeder") are attached high on a pole, therefore, my visiting avian creatures don't need a shovel to access them, as seen in the next set of pictures, featuring a cardinal as well as a sparrow enjoying them in spite of the storm.